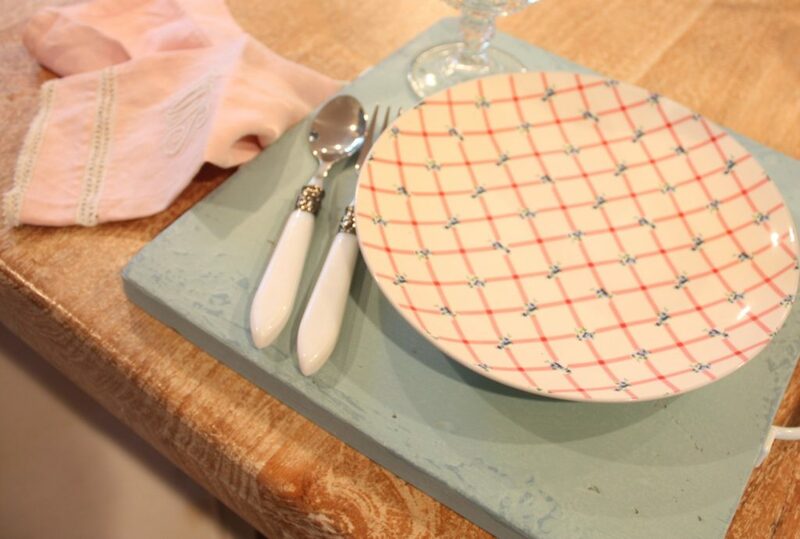 Last week, we shared this simple project for a wood charger. 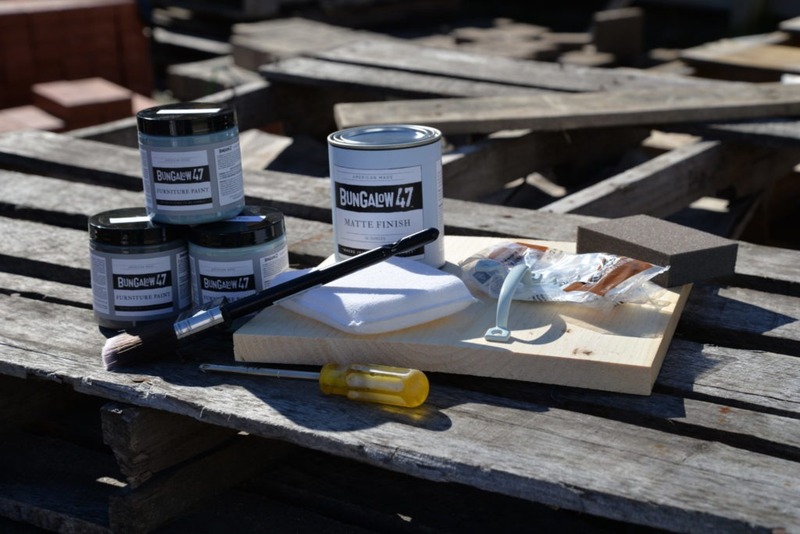 This week, we will be making a second one, with a bit of vintage texture using Bungalow 47™ Furniture Paint. 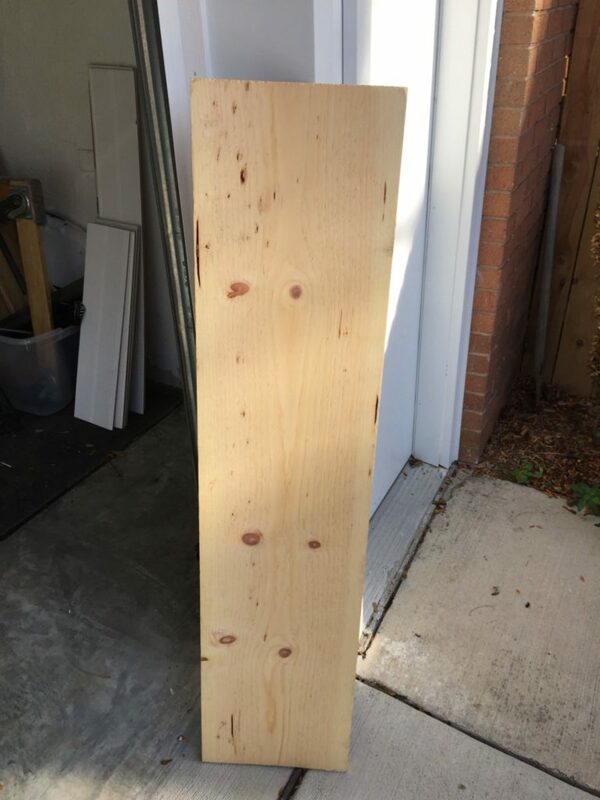 We started with a simple four by one pine board purchased at Home Depot. 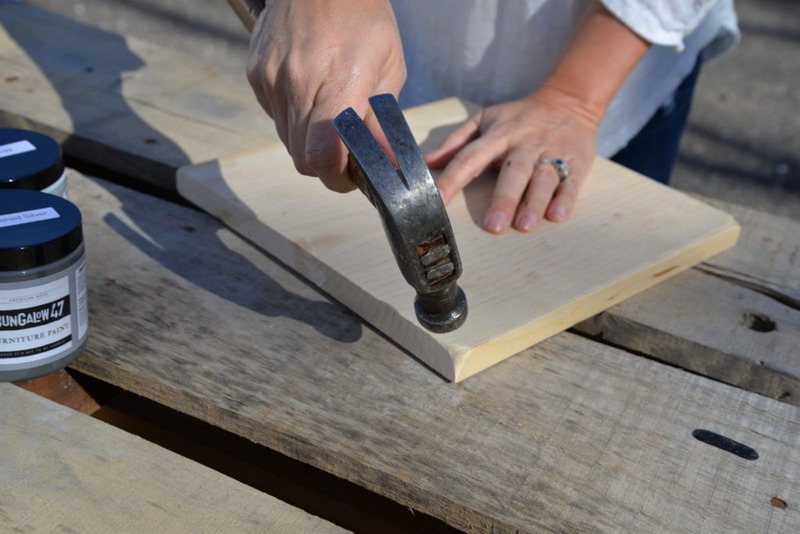 Then, we asked our friends at the store to cut the board into four one-foot squares. How easy is that? 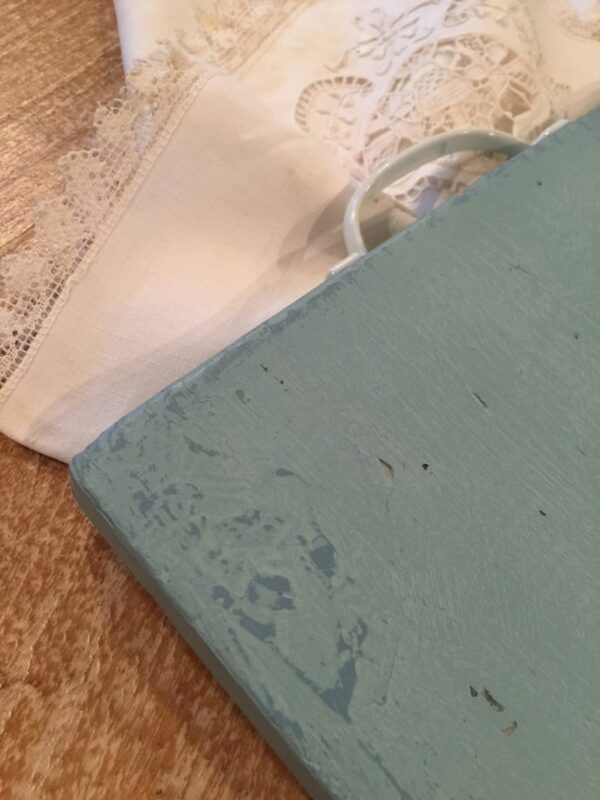 This week’s project will feature a few distressing techniques, along with some paint layering. 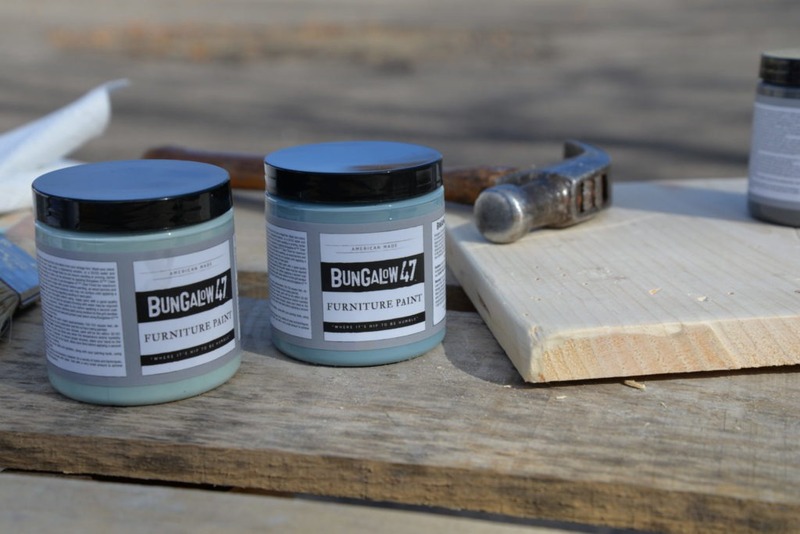 We used three colors from our Bungalow 47™ Furniture Paint line. We began by physically distressing our new piece of wood to look a bit aged. The edges were smashed down using a hammer. 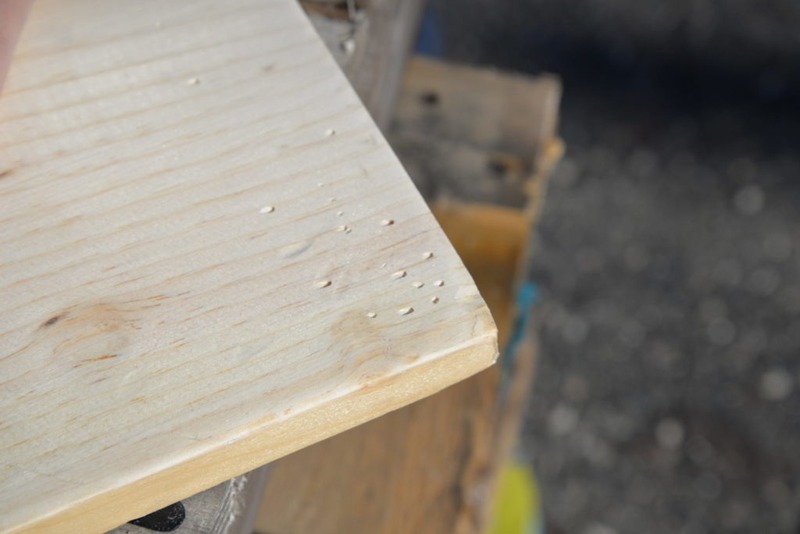 Next, using an old fork, we made pock marks in the wood by applying firm pressure on the fork against the soft pine. 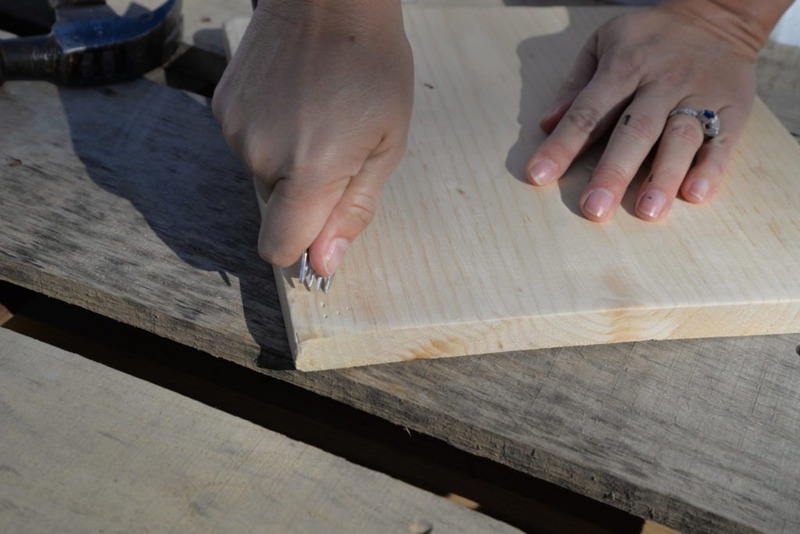 For this step, it’s important to make the marks a bit random; you want to avoid the look that you poked your wood with a fork! 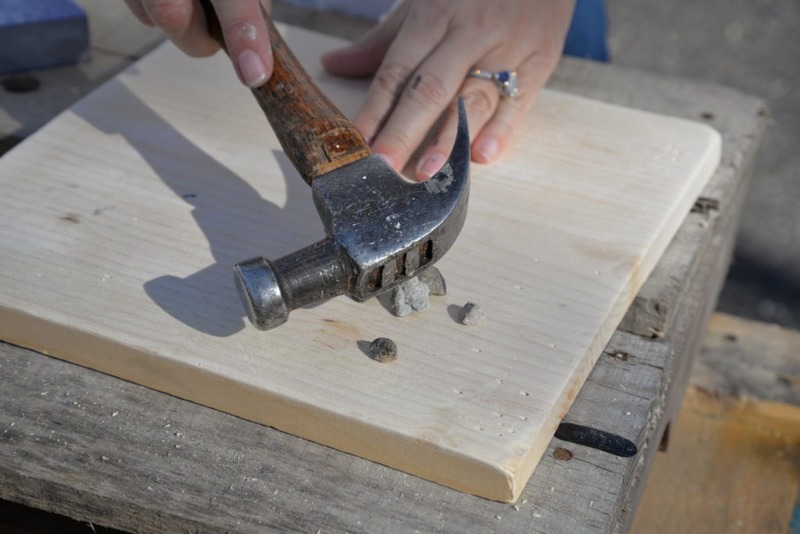 Further distressing was achieved by using some pebbles and pounding them against the wood with a hammer. Once again, this should be sporadic. 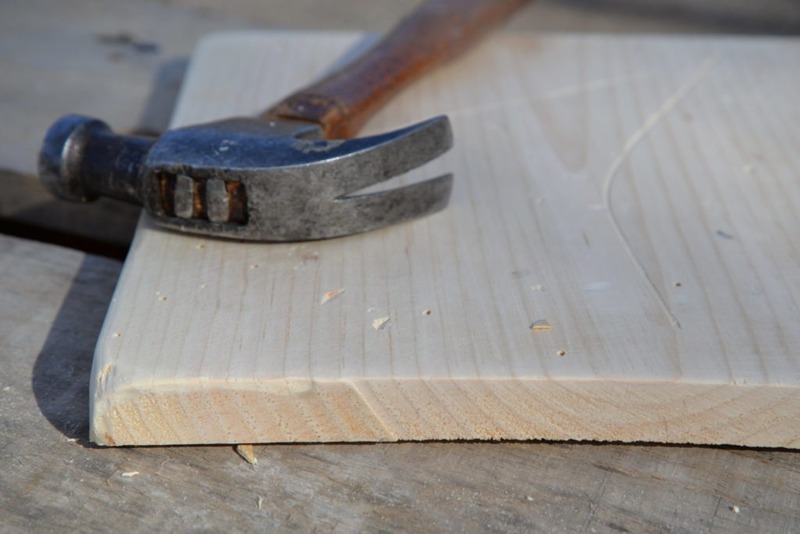 A hammer is a good tool to make other random marks and digs into the wood. 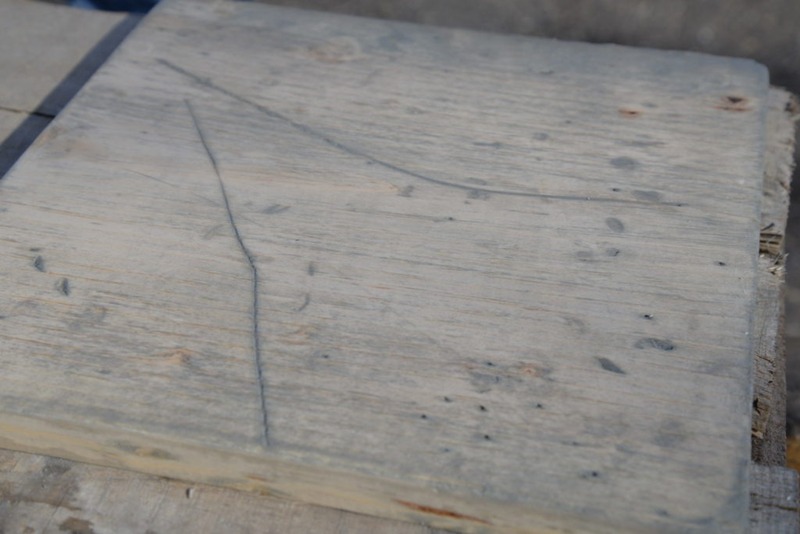 We even used a screwdriver to drag a few lines through the center of the wood surface. After distressing was complete, we did some light sanding to soften the marred edges, and then we were ready to paint. We used three colors: Tarnished Silver (for the wash), Beach House Blue (for the undercoat), and Duck Egg (for the final layer). To do a wash, we poured a bit of Tarnished Silver into a dish. 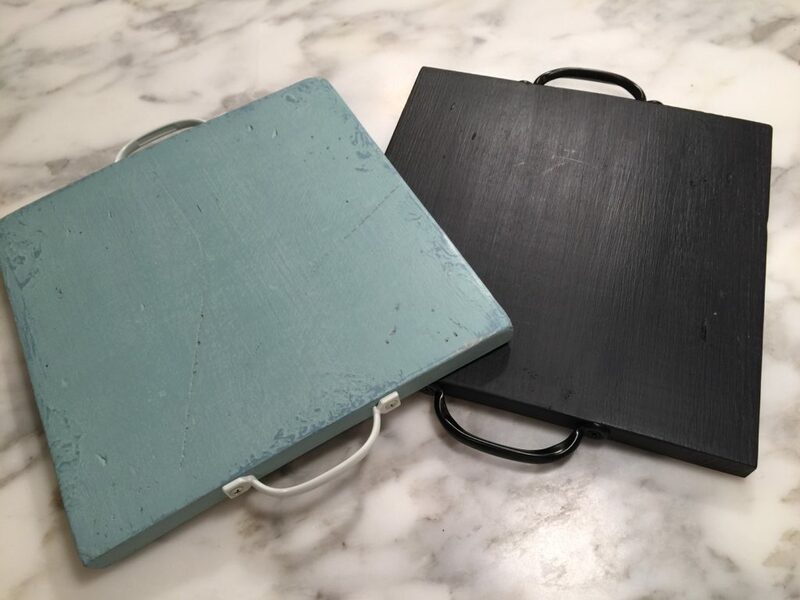 Some water was added to create a transparent wash of color that would allow this dark charcoal gray to sit in the grooves and holes we made when distressing. The wash was wiped on using paper towel, making sure that the color made its way into the cracks. Here, you can see the transparent wash has provided our first color layer of age. 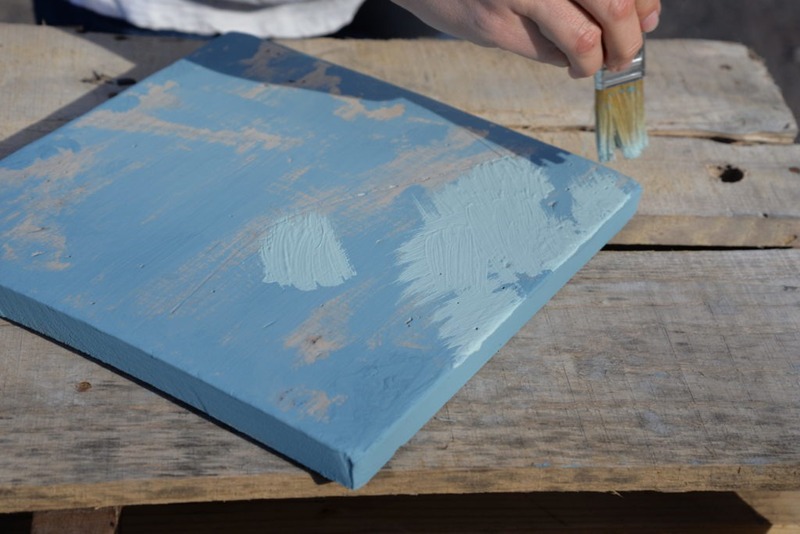 Once dry, using a natural-bristle brush (this brush tends to show more brush strokes, which is what we wanted for this project), we painted Beach House Blue in a rough first coat. 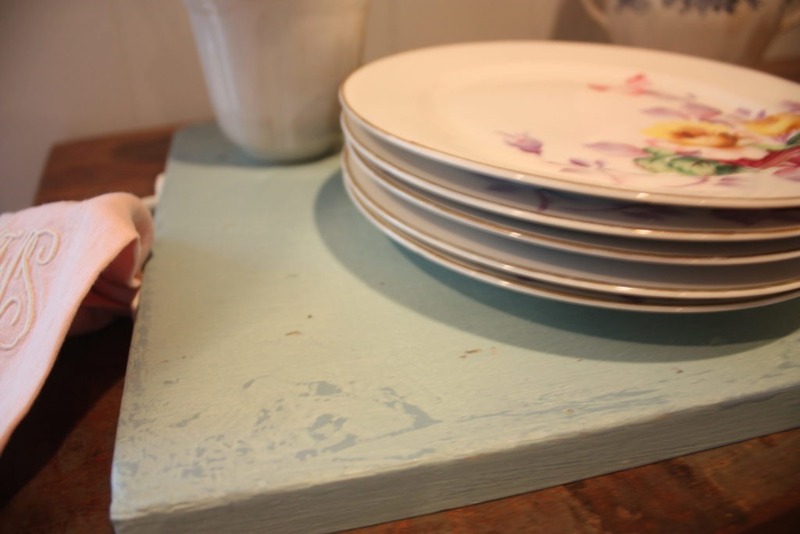 We took special care not to get paint into the grooves we created, as we wanted them more visible for a vintage look. We used a stippling technique to add soft, inconsistent puddles of paint near the edges. 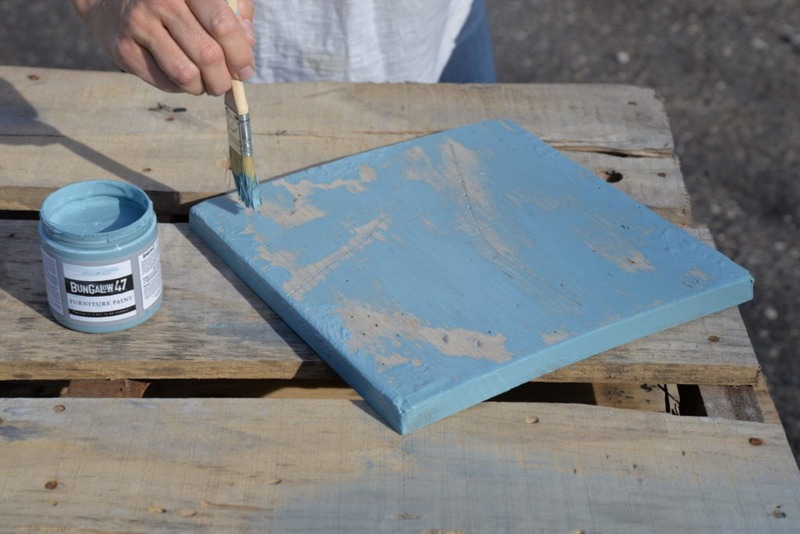 This will add texture and give the look of age with the final distressing. To speed the process, we dried these chunky areas with a blow dryer to speed up the drying process. 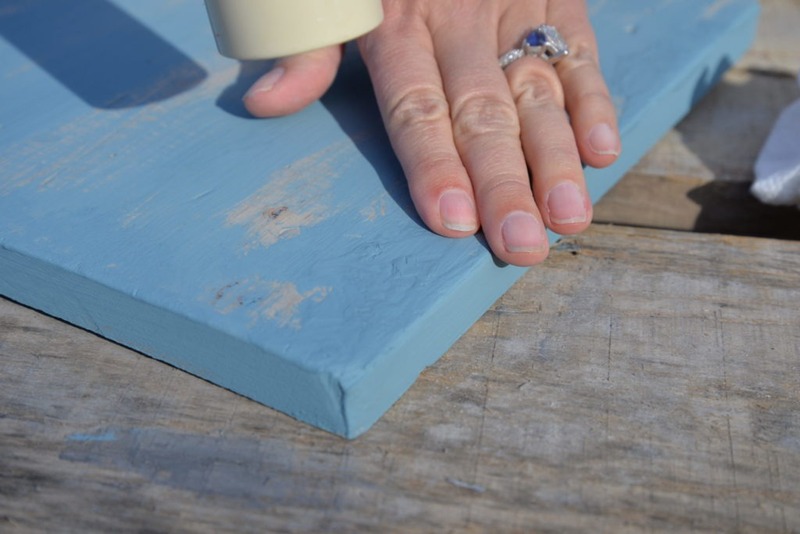 When the chunky areas were mostly dry, the paint was patted down by hand to smooth the texture a bit. 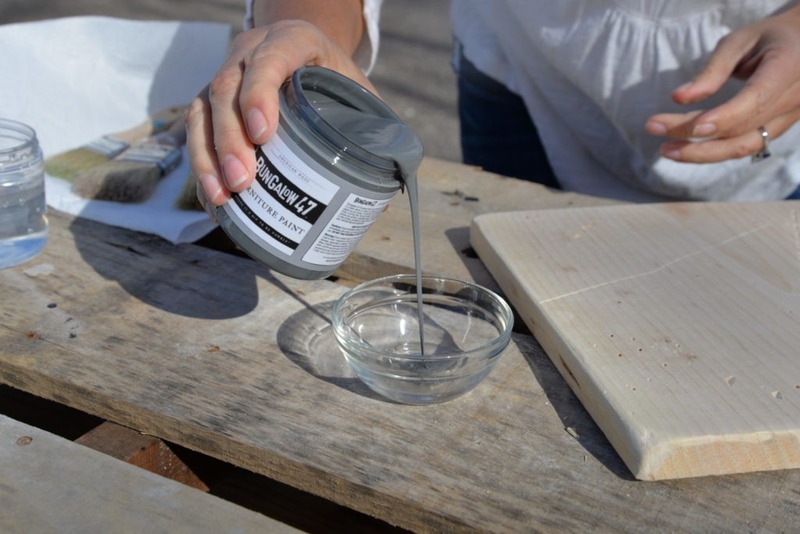 This also helps to know the area is completely dry before adding the final layer of paint. 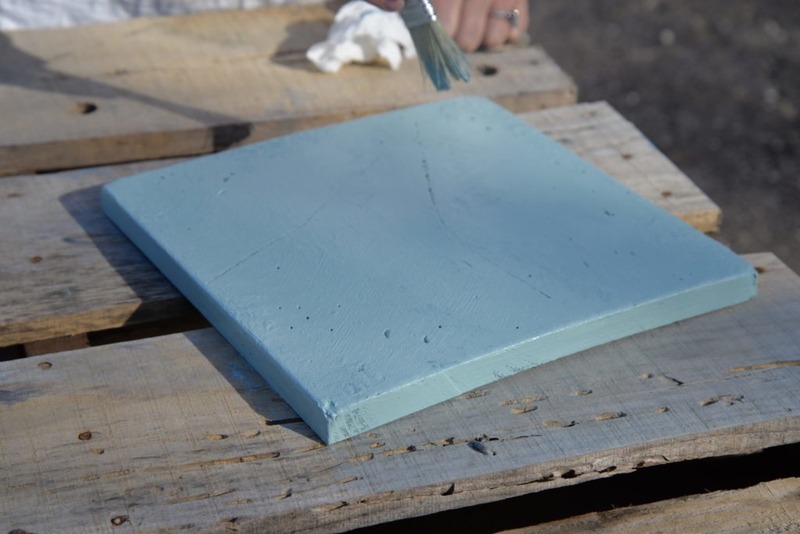 The finishing layer was painted using Duck Egg. Once again, this was painted with a back and forth technique that will provide a slightly aged, imperfect look. The entire piece was covered, but we were careful to dry brush over our holes and gouges so paint did not sit in the grooves. 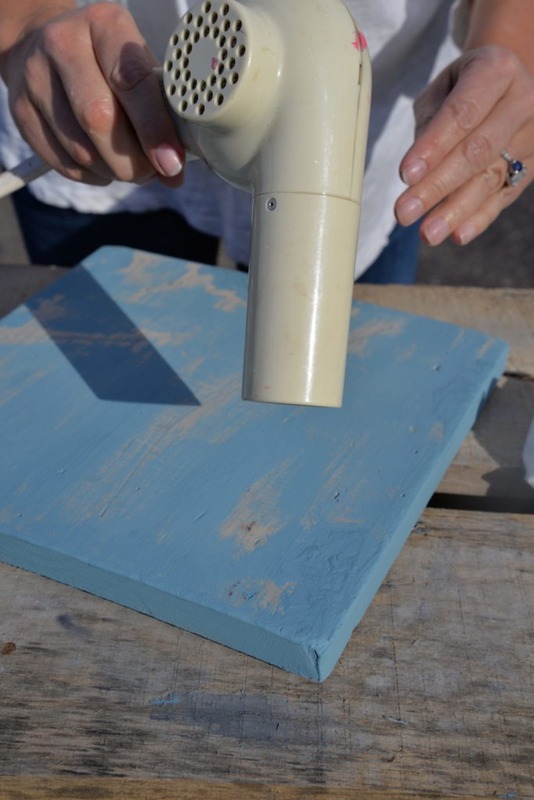 We used a sanding block to highlight the imperfections made in the wood and the paint. 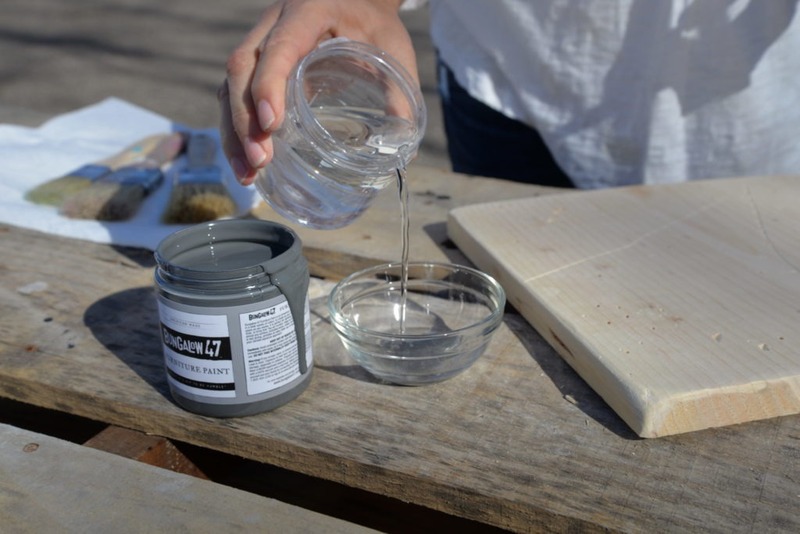 We also used a soft cloth to buff the surface before applying Matte Finish to highlight the texture created from the natural bristles dragging back and forth. White handles were added to the sides. 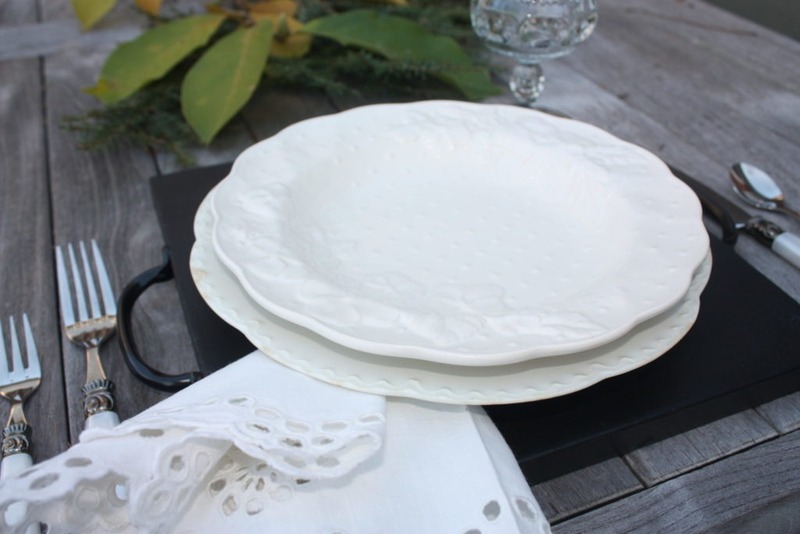 This simple faux vintage piece is ready for use! 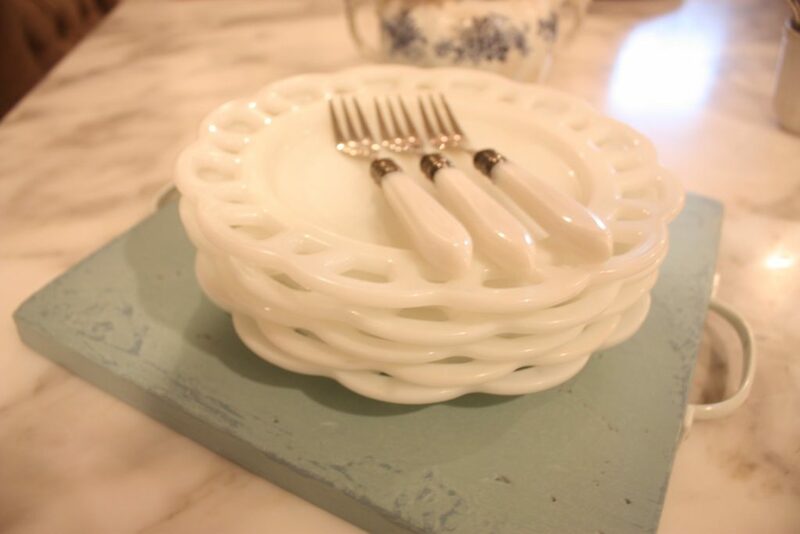 This little charger makes a perfect small tray to bring dessert plates to the table at the end of a meal. 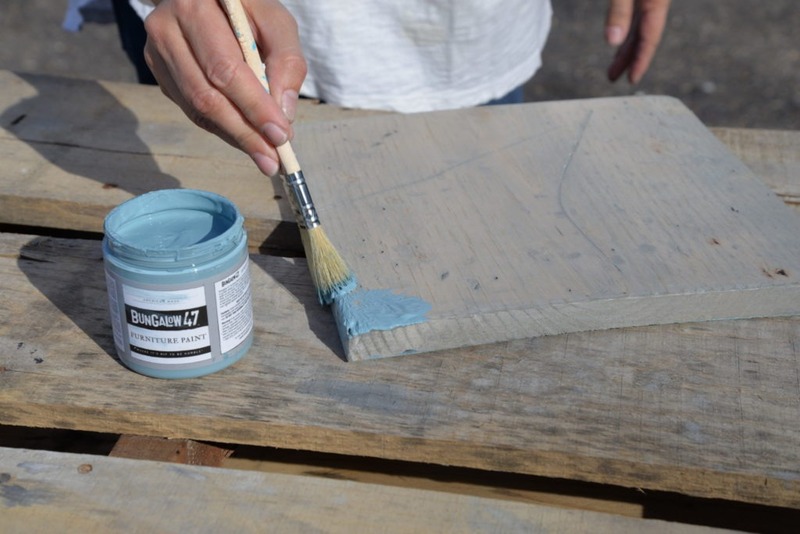 The imperfections and multiple paint layers give the look of a well loved piece that has seen more history then the trip from Home Depot to our work space. The simple wood charger can be made in a variety of sizes and colors, only limited by your imagination. 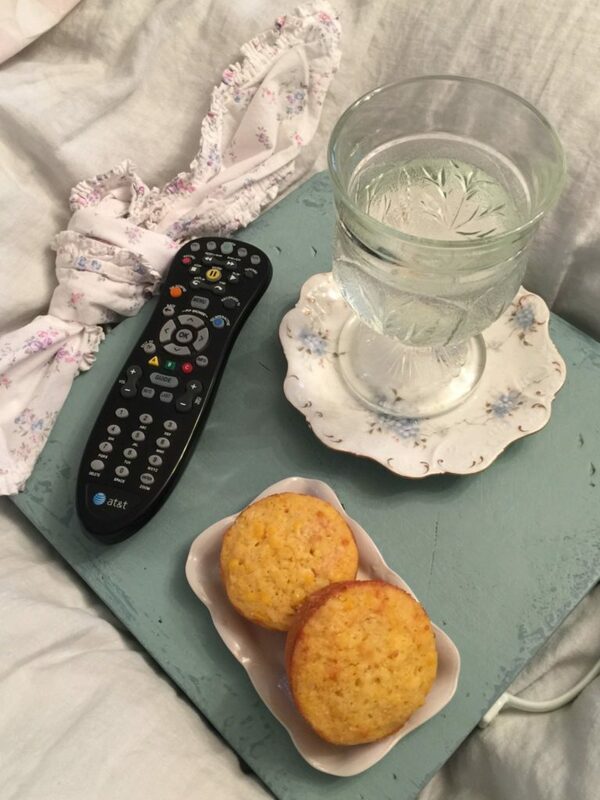 The wood charger also makes a great little lap tray for a morning in bed, or even as a lap surface while sitting on the couch. 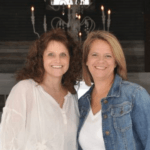 Stay tuned on Thursday for a variation on this project that makes a great gift for yourself or a friend! Thank you for the great tutorial??????????? ?